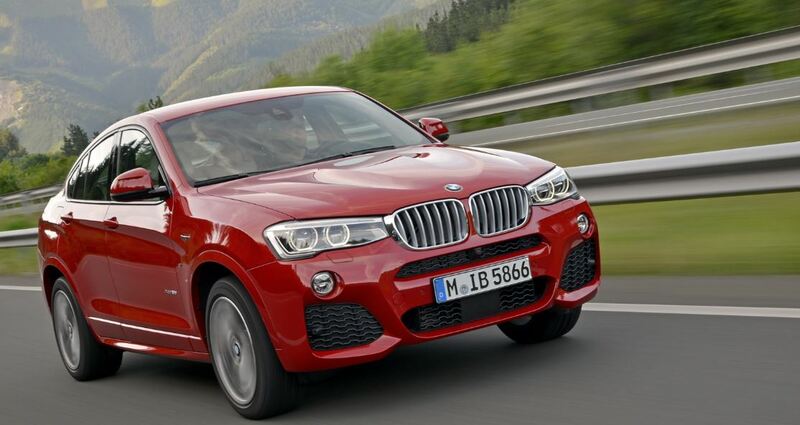 The United Kingdom is now welcoming the long expected BMW X4, the model coming with a lot of interesting features, at the base price of 36,590 GBP. There are a lot of Brits who would lay their hands on a fresh new BMW X4 crossover and all they have to do is just pay the fair price of 36,590 GBP, for the base entry-level model xDride20d SE. The BMW X4 xDrive20d SE is powered by a good 2.0-liter unit, developing 184 horsepower, while the model returns 54.3 mpg UK and emits only 138 g/km of CO2. Plus, for an additional 3,000 GBP you can also get the SE version with the M Sport trim, meaning that your xDrive20d will be tweaked with the aero kit, the door sill finishers, the High gloss Shadow Line trim exterior and much more. In case you want something fancy, then you should get the more powerful xDrvie30d, which outputs 255 horsepower, for its 3.0-liter straight-six unit. The xDrvie35d M model is also available, the model in question coming with 309 horsepower and sporting the standard 6-speed manual transmission.